Hiddenverse: Rise of Ariadna is rated 3.4 out of 5 by 13. Rated 5 out of 5 by ChChi101 from Love this! The Hiddenverse series of games are absolutely beautiful! Since playing the first game, I did not hesitate to purchase it along with each game that followed. It is the visuals and the fun factor that have me hooked on these games. The steampunk theme to the objects, with its unique and well-crafted artwork, will keep me playing and coming back for more! Rated 5 out of 5 by jane_eb_1952 from Unexpected Pleasure In Game Play! I must say, I thought I would not like playing timed games and repetitious puzzles. However, Hiddenverse: Rise of Ariadna was a game changer for me. I was not half-way through the demo until I found myself logging off the game and purchasing it right away. I truly enjoyed this refreshing change and am looking forward to finishing this game. This game is like unto an addiction; can't wait to get back to playing. Fun factor, visual and sound quality was excellent. Thankful for the option for level of challenge, and the storyline surprisingly kept my attention. I own over 300 Big Fish Games both SE and CE. This one is a keeper for sure. Definitely not a waste of time and is quite enjoyable. Rated 5 out of 5 by JeansLady1 from New features make it fun I have all of the Hiddenverse games except for Tale of Arianda, so when I saw this newest addition, I immediately downloaded the demo. I played a few levels and purchased it. I was very curious about what new features they might add to make it different from previous versions. They did indeed add new features, which pennmom has described in detail, so I won't repeat those. I've been playing mostly TM games for the past several weeks, so Hiddenverse is a nice way to take a break from the TM genre for a little bit here and there. Hiddenverse games are always great quality and entertaining. This new one is no exception. If you have enjoyed them in the past, you will enjoy Rise of Ariadna, too. 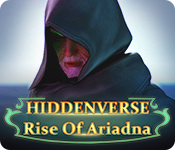 Rated 5 out of 5 by MrsBen from HIDDENVERSE: RISE OF ARIADNA..... ME TOO!! I, too, admire these developers...they really know how to make fun, challenging puzzle games. I have every one of them. The storyline is good and the HUGE variety of puzzles are amazing. Yes, these devs definitely are sensitive to their fan's likes and dislikes and the games they create are not only clever and well thought-out, but they show they are very intelligent people who enjoy having a good time in a wonderful way! Keep them coming guys and gals!! GREAT JOB! Rated 4 out of 5 by verimeri from much better This is a big improvement over the last chapter. That one seemed like a cookie cutter more of the same thing game.I rejected it as a buy. But I decided to give this version a chance and it is much improved. 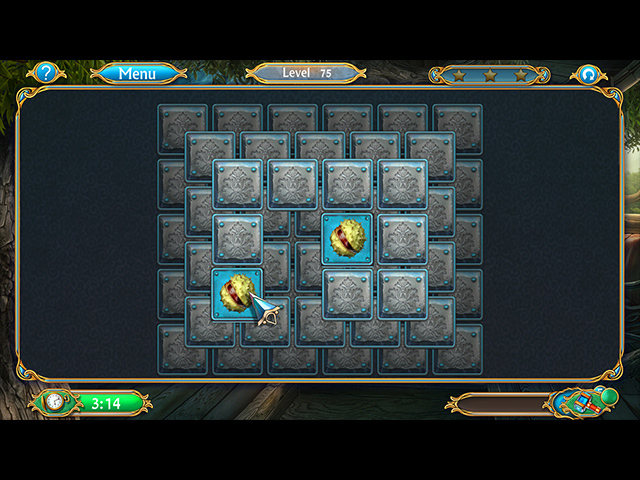 This one has the building improvements of the castle and several more varieties of games. To me the story line makes little or no sense. But I don't need a good story to enjoy a game. Rated 3 out of 5 by Granny_Gruff from It is What it is I have several of the Hiddenverse games. I like the contrast to a more story-centered HOP game. As an average game, this one has nice clear artwork, seemingly endless piles of clutter and various ways you need to sort through the "stuff" to collect points and stars. The stars let you purchase upgrades for something in the game. In this case you will be improving a mansion that you have been given - and its run down condition makes it more a punishment than a reward! And you must collect and use those stars to advance in the game. As for the story, trust me when I say you had best not buy this Hiddenverse games for the story line. It is not only story light, but this is the third game in a row that ends with a cliff hanger and includes characters mentioned in the earlier games. Be forewarned: No one at Shaman Games seems to have any intention of finishing those cliff hangers, as one major character was killed off in the last game! Bottom line: If you are just looking for a time killer, you found it, no great skill or attention required. Try the demo before you buy and happy gaming. 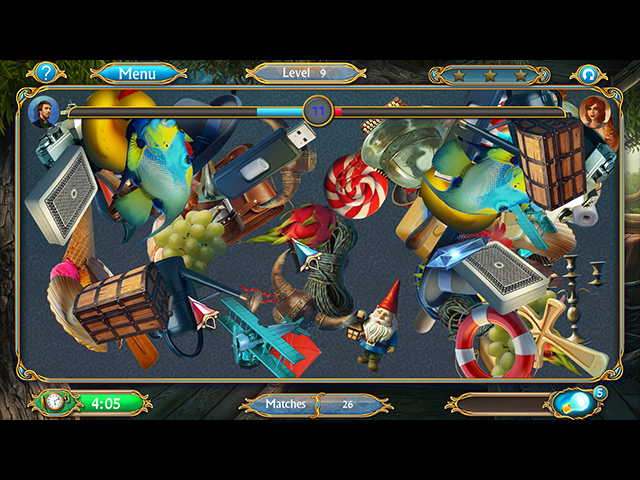 Rated 2 out of 5 by Imfishin from Surprisingly dull Been playing Hidden Object games here for a long time and have always been pleased with the ones I've gotten. I've become so used to good games that I didn't really do a thorough enough precheck before buying this one. Unfortunately this one was a disappointment! There was really no storyline or action of characters. 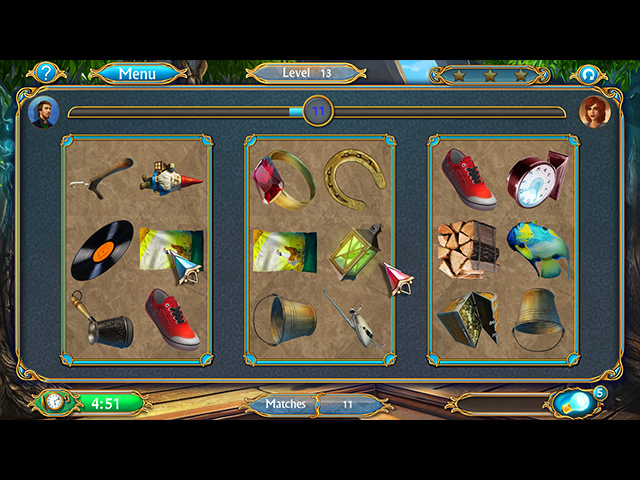 The games and puzzles were the same style for all 11 "levels". There were two rooms in ruins that were to be restored using points earned but there was no explanation of the rooms' purpose or importance. The music was monotonous and I also turned it off. I'm sure there are some who would appreciate the simplicity of this game, but it really didn't fit right for me. Rated 2 out of 5 by Yurnmesis from Trial: Match 2? I won't even go into story line because enough has been said about that. I found there was way too much text to read at start and constant intrusive music. This was not the game quality I expect from a Big Fish Game. The repeated Match 2 games were annoying and ruined any continuity of a story. This reminded me of an IPad game. Frankly, I was disappointed and glad I downloaded the trial. I scratched this one off my list early in the trial. But to be fair try it out yourself, see what you think. Rated 2 out of 5 by bessiegirl from TEDIOUS! Wow, I purchased this without demo first. I only have myself to blame for one of the most tedious games I've come across in a long time. Game consisted only (at least as far as I got) of basically "pair matching" over and over again, but in different circumstances. Awkward and boring. Some help, but very little. What a mistake this was. Just can't understand all the good reviews. I won't fall for that again!